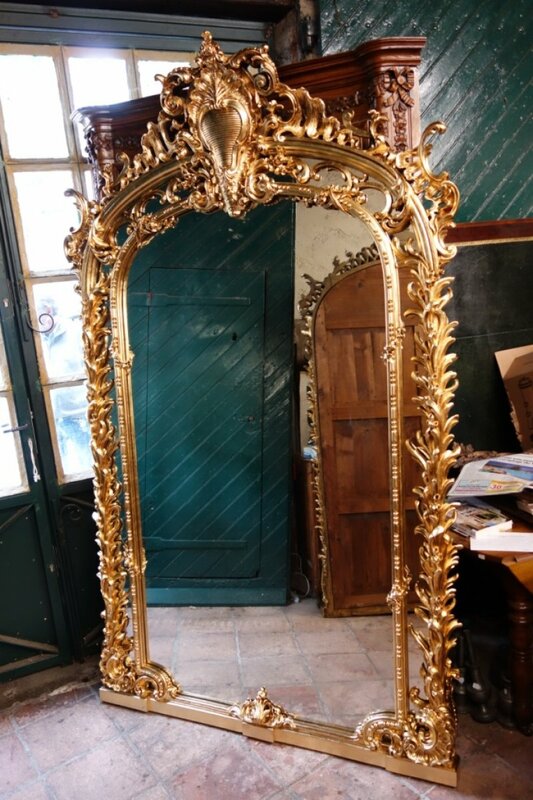 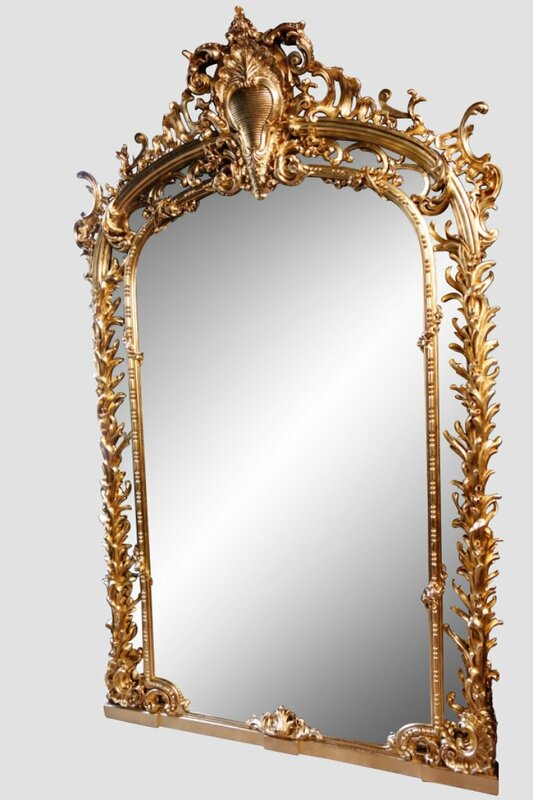 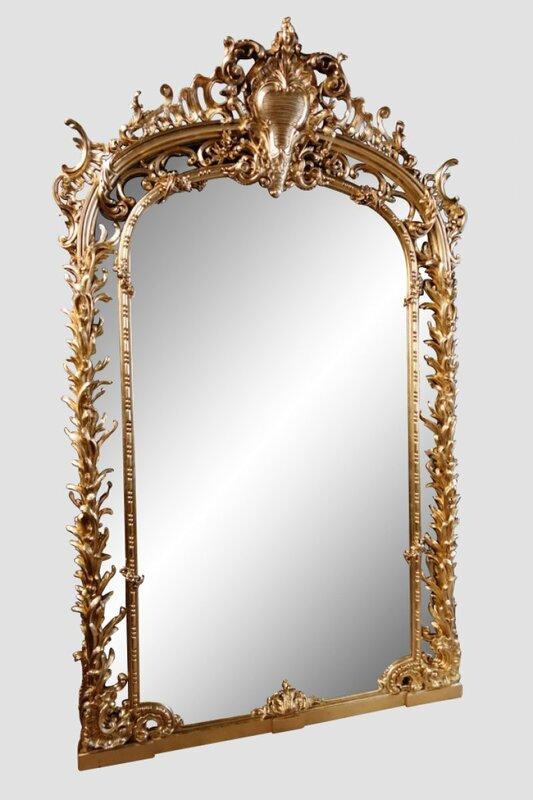 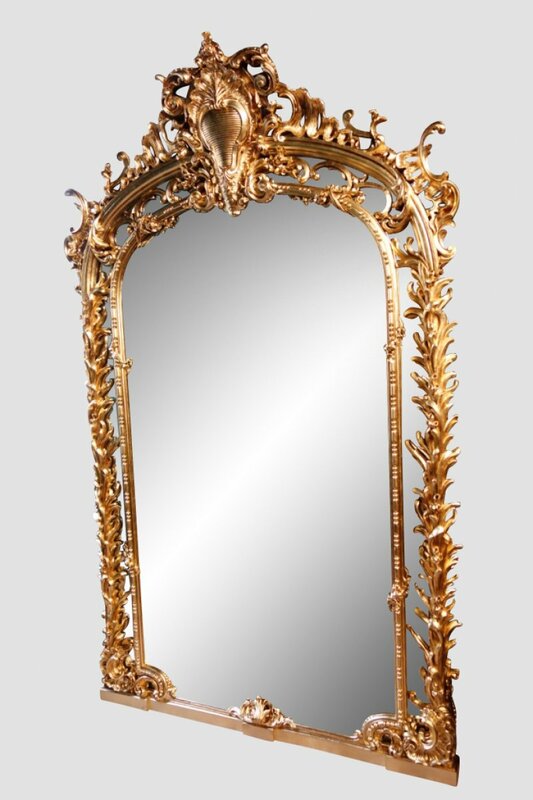 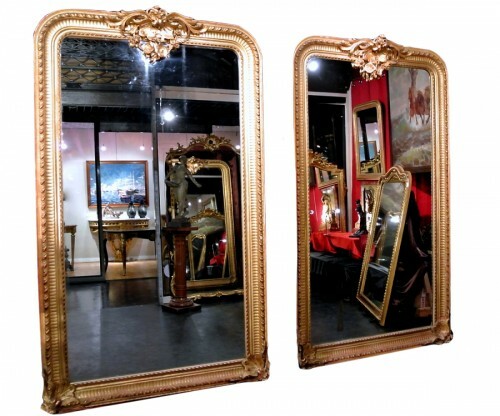 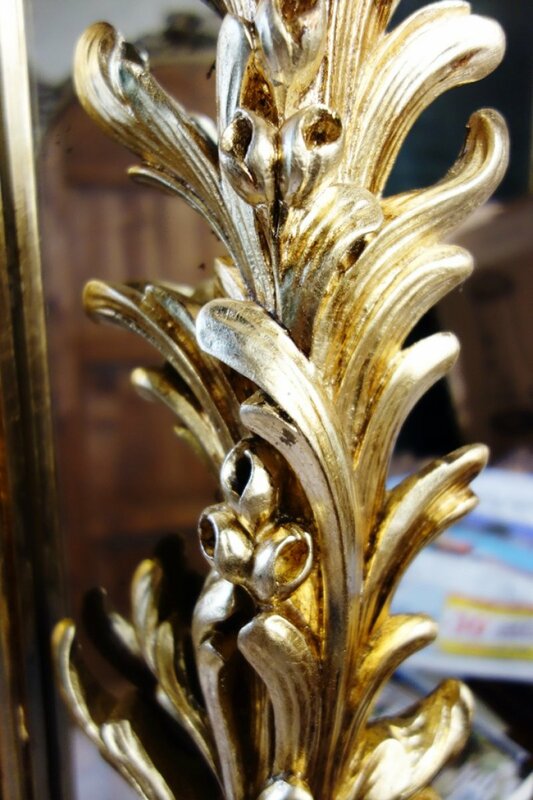 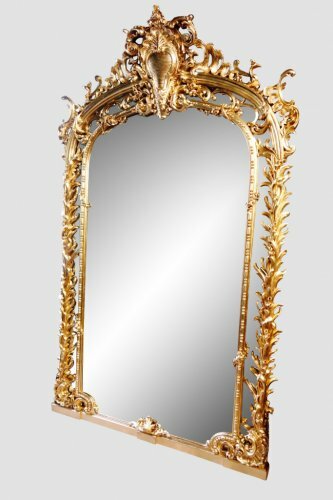 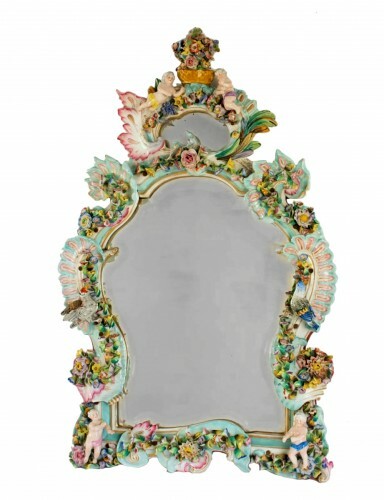 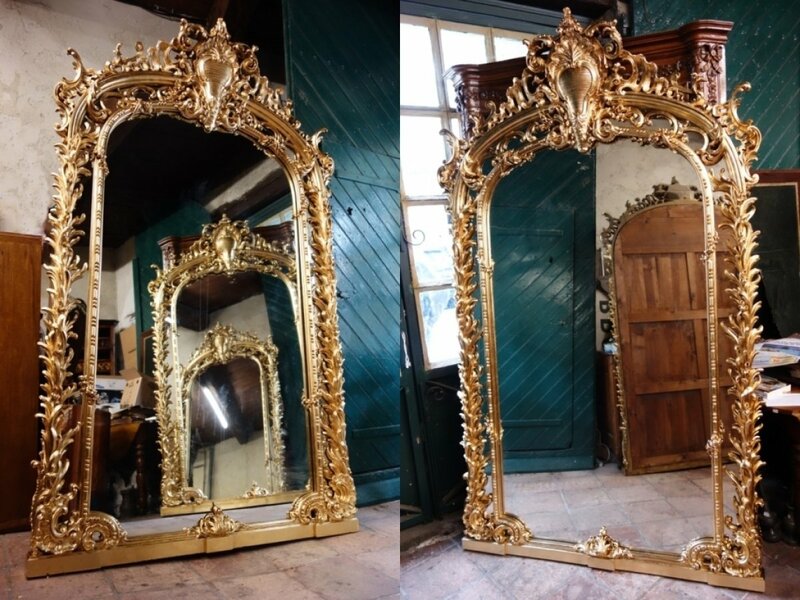 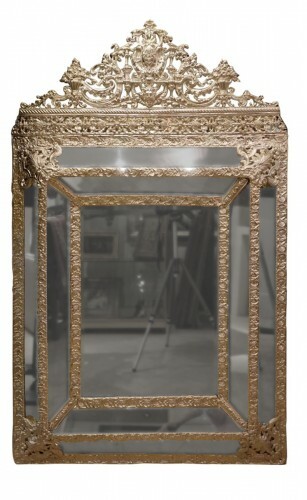 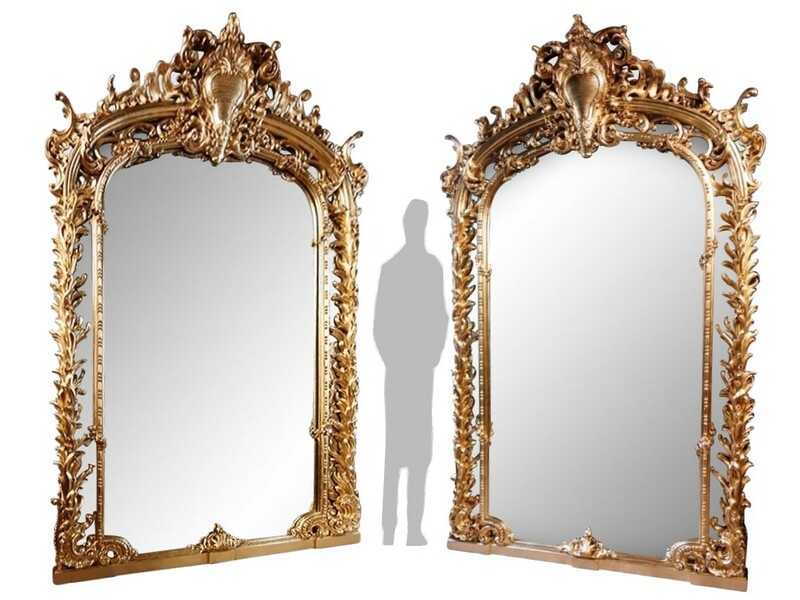 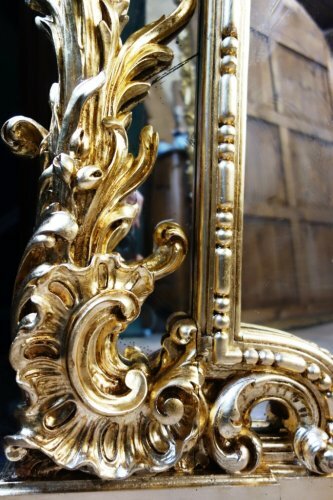 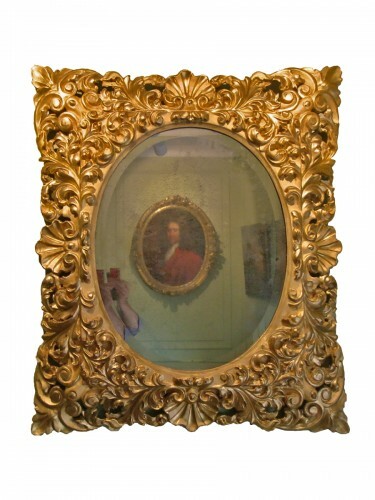 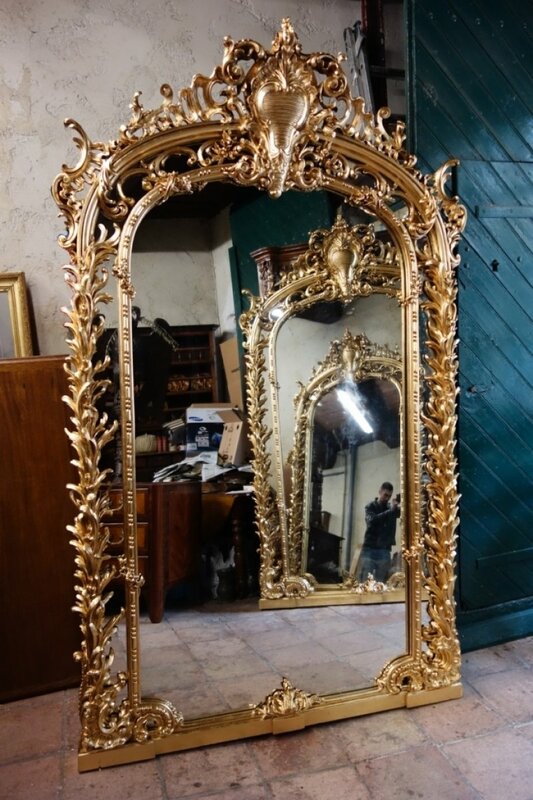 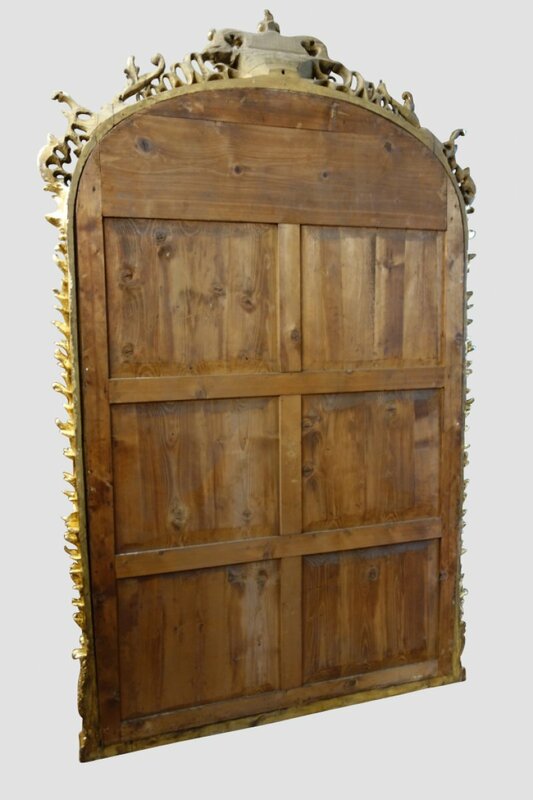 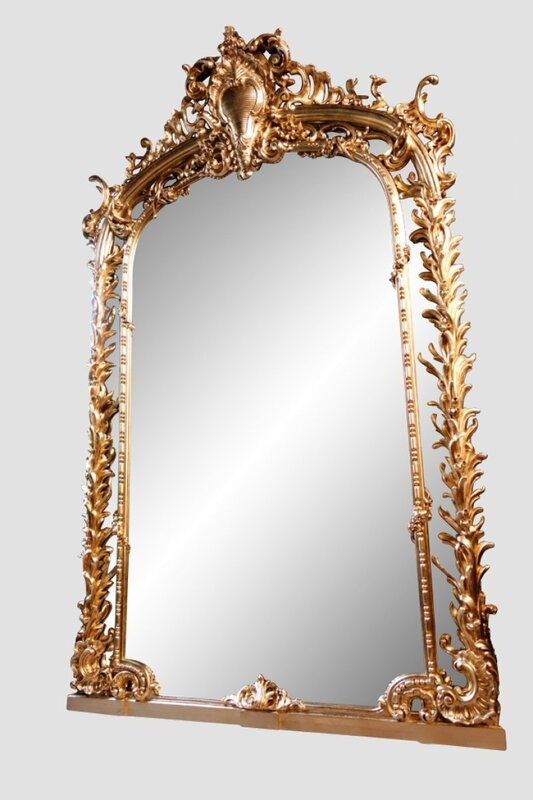 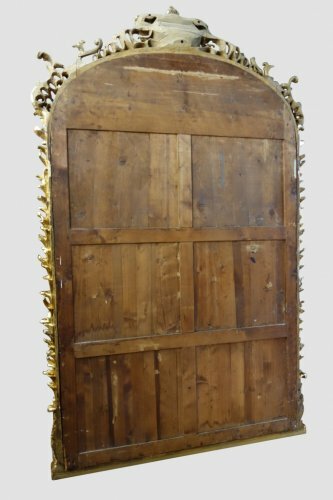 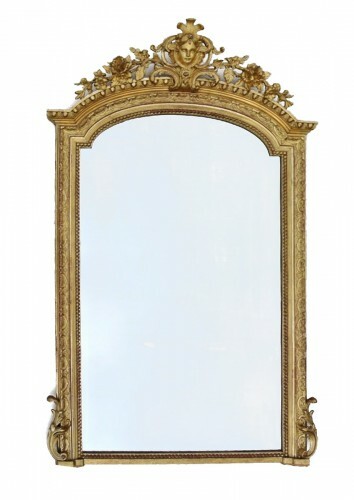 Large pair of mirrors in gilded wood. 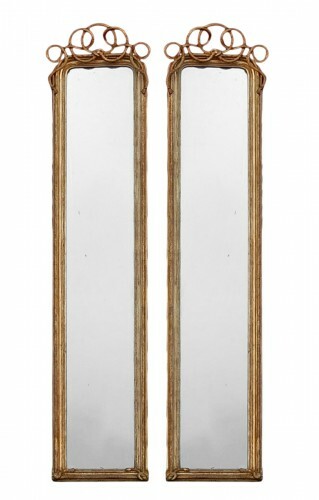 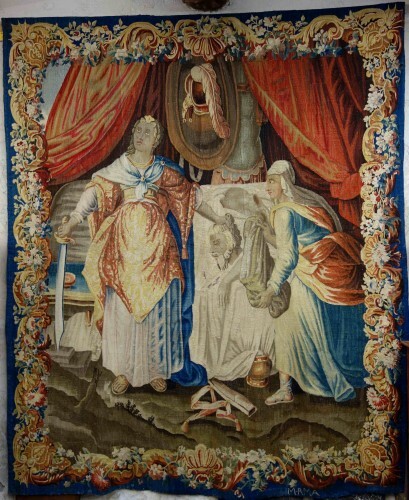 Very large dimensions: a height of 243 cm and a width of 145 cm for each of the mirrors. 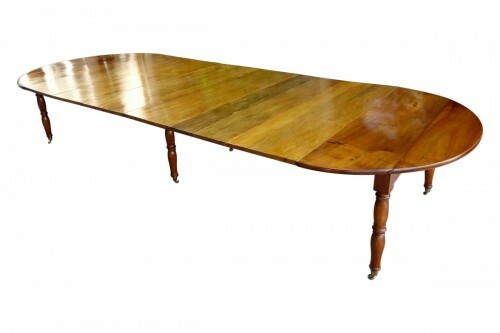 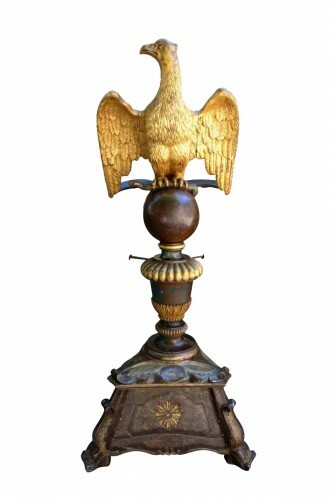 Napoleon III period, second half of the 19th century.